Located in Baker Nevada Great Basin National which is off of High way 50 You will Find the Great Basin National Park. Price: $6.00 per night/ per sight if water is turned off it is turned on it is $12.00 per night. $3.00 for Golden Age/ Golden Access card holders. If water is turned on it is $6.00 per night. Hiking: The Lehman Caves are a popular hiking destination in the National Park. But you have to Sign up for a Tour group. 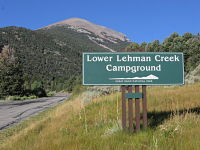 Year Round Open: It is the Only Camp Ground open year Round in the Park. Located twenty five Minutes on High way 395 South of Reno and High Way 395 North of Carson City Nevada. 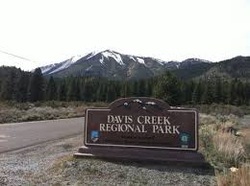 In Washoe Valley you will find Davis Creek. Water: There is no Water at This camp site. Since there is no water. You have to bring your own Water. Hiking: there is allot of hiking around Davis Creek. you have the Mount Rose Hike. That is at least 7.9 miles plus it joins the Tahoe Rim Trail as well. Year Round: It is open Year Round. Located just a short hour drive from Minden Nevada and two Hours from Jackson California. Just off of High way 88. Is where you will find Blue Lakes. Water: You do have running water. How ever the bathrooms have no plumbing. Hiking:You have allot of hiking trails here. If you back pack You can Start the Pacific Crest Trail as well as day hike to lower blue lake. Year Round: This is not open year round. Due to the High elevation. It usually closes the week after Laber Day.